By Las Vegas' greatest entertainer, in his best years, a most dynamic rendition of that famous song. 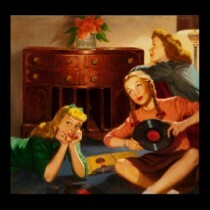 Much swing and rhythm and such a great voice for a teenager! Carson Wayne Newton (born in 1942 in Roanoke, Virginia) is an American singer and entertainer based in Las Vegas, Nevada. He performed over 30.000 solo shows in Las Vegas over a period of over 40 years, earning him the nickname "Mr Las Vegas". Newton was born in Roanoke, Virginia, the half-Native American son of an auto mechanic. Newton was active in show business at an early age. He learned the piano, guitar, and steel guitar at the age of six. Along with his older brother Jerry Newton, he appeared with the Grand Ole Opry roadshows, performed for President Harry S. Truman. 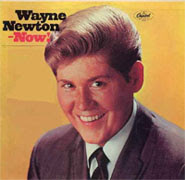 In the spring of 1958, toward the end of Wayne's junior year in high school, a Las Vegas booking agent saw a local TV show on which the two Newton brothers were performing and took them back with him for an audition. Originally signed for two weeks, the two brothers eventually performed for five years, doing six shows a day. 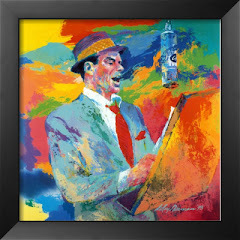 Newton achieved nationwide recognition on September 29, 1962 when he and his brother performed on The Jackie Gleason Show. He would perform on Gleason's show 12 times over the following two years. Many other entertainment icons such as Lucille Ball, Bobby Darin, Danny Thomas, George Burns, and Jack Benny lent Newton their support. After his job with Benny ended, Newton was offered a job to open for another comic at the Flamingo Hotel, but Newton asked for, and was given, a headline act. From 1980 to 1982 Newton was part owner of the Aladdin Hotel. In 1994, Newton performed his 25.000th solo show in Las Vegas. 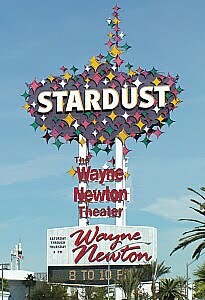 In 1999, Newton signed a 10-year deal with the Stardust, calling for him to perform there 40 weeks out of the year for six shows a week in a showroom named after him. Newton began a 30-show stint that summer at the Hilton. Newton is currently performing with a full band at casinos and major venues throughout 2007 across the United States.